What Lord of the Rings Character Are You? A few months ago, I shared how an argument between my husband and I turned into a quiz on What Star Trek Race Are You? Since not everyone is a Star Trek fan, I thought I’d create another one on The Lord of the Rings this time. (A) You have a strong sense of honor and duty, and you thus have a difficult time letting go of mistakes made in the past. You fight for what you believe is right and defend the weak, regardless of the consequences. (B) Your life experience has taught you where you’re weak, and so you show mercy and compassion to others. You’re kind and willing to sacrifice yourself for the benefit of others, and friends seek you out for your sound advice. (C) You’re a hopeless romantic—a lover, not a fighter. You’ll do anything for the ones you love. You feel their joys and pains as if they were your own. (D) You prefer the simple things in life—good food, fresh air, friendship. You’re practical, rather than adventurous, and you try to keep an eye on everything that’s happening so you’ll be prepared. You’re honest and loyal to a fault. (E) You’re strong, ambitious, and a born leader. Along with those virtues comes a tendency to pride and arrogance, but when you hurt someone, you quickly make up for it, and you’re honest about your failings. (F) You’re independent and prefer spending time alone to being in a crowd. This time alone gives you plenty of time to dream. You have strong emotions and melancholy tendencies. (G) You’re curious, cheerful, talkative, and a little quirky, which means people often underestimate you. You look at life with a child-like curiosity. Your biggest challenge is keep from becoming careless and impulsive. (A) You’re Aragorn. 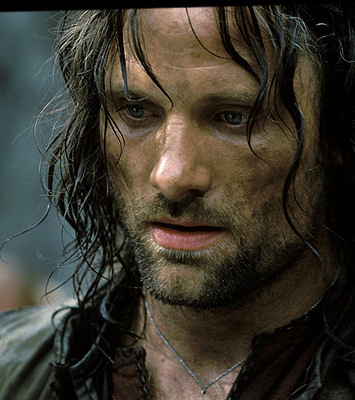 Aragorn was the rightful heir to the throne of Gondor, but lived as a Ranger because he didn’t want to repeat his ancestor Isildor’s mistake and let power and greed go to his head. He was willing to give up his life protecting the Hobbits and the people of Rohan, even though they weren’t technically his responsibility. (B) You’re Gandalf. 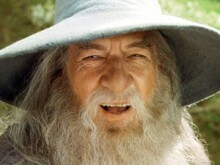 Gandalf the Grey was a wizard and longtime advisor of Bilbo Baggins. He refused to carry the ring because he knew it would be too great a temptation for him, and he reminded Frodo of the need to show compassion to Gollum. When the Fellowship of the Ring ran into the Bolrog (a deadly creature of fire and shadow) in the Mines of Moria, Gandalf sacrificed himself so the others could escape. (C) You’re Arwen. 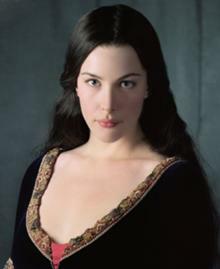 Arwen is the daughter of the elvin king Elrond. She gave up her immortality in order to spend a single lifetime with Aragorn. (D) You’re Samwise. Samwise Gamgee was Frodo Baggins’ gardener and closest friend. Without Sam’s care, loyalty, and planning (he rationed their food, made sure they had rope, etc. ), Frodo would have never made it to Mount Doom to destroy the ring. (E) You’re Boromir. 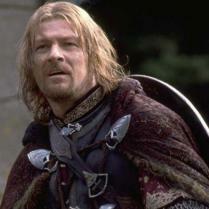 Boromir was heir to the Stewart of Gondor, who cared for the kingdom of Gondor in Aragorn’s absence. Boromir’s desire for the ring and the power it could bring to Gondor got the best of him, and he tried to take it from Frodo by force. He died honorably defending the other hobbits from an orc attack and making sure that Frodo was able to escape. (F) You’re Frodo. Frodo Baggins became the ring bearer, the only one who seemed able to tolerate the corrupting power of the ring long enough to carry it to Mount Doom to destroy it. Before the ring came into his life, Frodo enjoyed long walks alone in the woods and had very few friends. After taking on ring, Frodo insisted that the burden was his alone to bear and tried to go alone to Mordor and Mount Doom. (G) You’re Pippin. Peregrin Took was the youngest of the hobbits to leave the Shire with Frodo. In the Mines of Moria, he knocked a skeleton down a well, alerting the orcs to their presence, and later stole what he thought was a pretty bauble from Gandalf, which turned out to be an evil object that almost got them all in trouble when Pippin tried to use it. 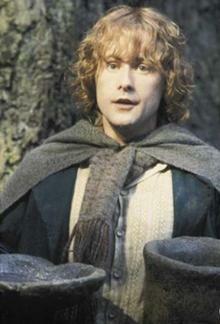 In the end, Pippin distinguished himself by his bravery in the final battle. My husband and I are still trying to figure out if I’m more Samwise or Gandalf. No question, he’s Aragorn.